London (AFP) – The Russian former double-agent who collapsed in a British town alongside his daughter was the victim of attempted murder with a nerve agent, police said Wednesday. “This is being treated as a major incident involving attempted murder by administration of a nerve agent”, Metropolitan Police assistant commissioner Mark Rowley told reporters. “I will not be providing further information at this stage about the exact substance that has been identified,” he added. Scientific tests by government experts have identified the specific nerve agent used, “which will help identify the source” police said, but Rowley declined to detail it. 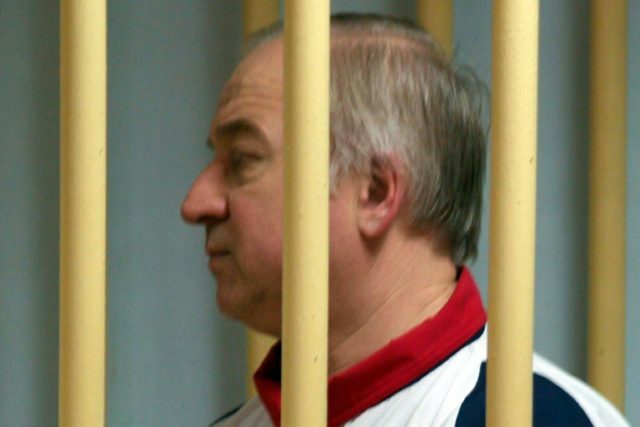 Sergei Skripal, 66, who moved to Britain in a 2010 spy swap, is in a critical condition in hospital along with his daughter Yulia after they collapsed on a bench outside a shopping centre in the southwestern English city of Salisbury on Sunday. “Sadly, in addition, a police officer, who was one of the first to attend the scene is now also in a serious condition in hospital,” said Rowley. Interior minister Amber Rudd earlier called for “cool heads” over the poisoning, which is already being linked with Russia by British politicians and media. Police say they are keeping an open mind about what happened, but Foreign Secretary Boris Johnson on Tuesday alluded to Russia. Moscow accused politicians and journalists of whipping up anti-Russian sentiment, with Kremlin foreign ministry spokeswoman Maria Zakharova telling reporters the story “was straight away used to boost an anti-Russian campaign in the media”. Skripal and his 33-year-old daughter had lunch at a restaurant in Salisbury before walking to the shopping centre, where witnesses said they appeared “out of it”. The BBC cited one source as saying that Skripal was “not in a good way at all” by Tuesday night. Rowley appealed for information from those in Salisbury on Sunday, particularly those who had visited either the Zizzi pizza restaurant or the nearby Bishop’s Mill pub. Some other emergency services personnel who treated the pair required medical treatment, and The Sun newspaper reported that two police officers had itchy eyes, wheezing and rashes. However, she confirmed the government might consider a boycott by British officials and dignitaries of the 2018 football World Cup in Russia if it were found to have been involved.